WASHINGTON (CNS) — The findings of a recent Georgetown University study on how Catholics regard Muslims show an “urgent need” to “cultivate positive dialogue” not just among Catholics and Muslims, but with other faith traditions as well, according to Archbishop Blase J. Cupich of Chicago. 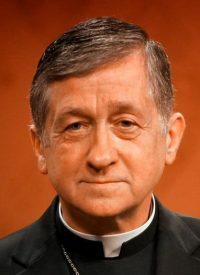 “Experience has shown that when people of different faith traditions build personal relationships and engage in dialogue to learn about one another, they develop the capacity to work together; and they come to appreciate the positive elements in one another’s traditions,” said a Sept. 21 statement by Archbishop Cupich, the Catholic co-chairman of the National Catholic-Muslim Dialogue. According to a survey of 1,027 Catholics, nearly half of Catholics can’t name any similarities between Catholicism and Islam. When asked about the overall impression of Muslims, three in 10 Catholics admit to having unfavorable views, and Catholics are less likely than the general American public to know a Muslim personally. The survey results were published Sept. 12 in the study “Danger & Dialogue: American Catholic Public Opinion and Portrayals of Islam.” It was conducted by a research group with Georgetown University’s Bridge Initiative,which studies Islamophobia. Dialogue was “strongly advocated” by the Second Vatican Council in its document “Nostra Aetate,” Archbishop Cupich said. The document addressed the relations of the Catholic Church with other religions. “As ‘Nostra Aetate’ teaches, with them (members of other faiths) we should ‘make common cause of safeguarding and fostering social justice, moral values, peace and freedom,'” he added.